Learned League precedent (LL69, MD20) – The simple pie that consists of a single crust and a filling made of butter, sugar, cornmeal, and eggs (plus usually vanilla, with a myriad of optional variations) has numerous common names. One of those names, used particularly in the Southern U.S., is of disputed origin, with some etymologies linking it to a related dessert and others to a piece of furniture; that it is also the name of an unrelated game appears to be wholly coincidental. What is that name? I’ve never heard of chess pie, despite being Southern, sounding like something I would eat, and being a name I’m sure I wouldn’t forget. I knew from the Cornmeal entry that “scrapple” was a dish, but it contains pork and isn’t close enough to Scrabble to count. I ended up putting “rummycake”, which I thought was a thing, but is instead a crossword clue for BABA. Since I don’t feel like asking about more cornmeal or pie, let’s just use chess as our theme. 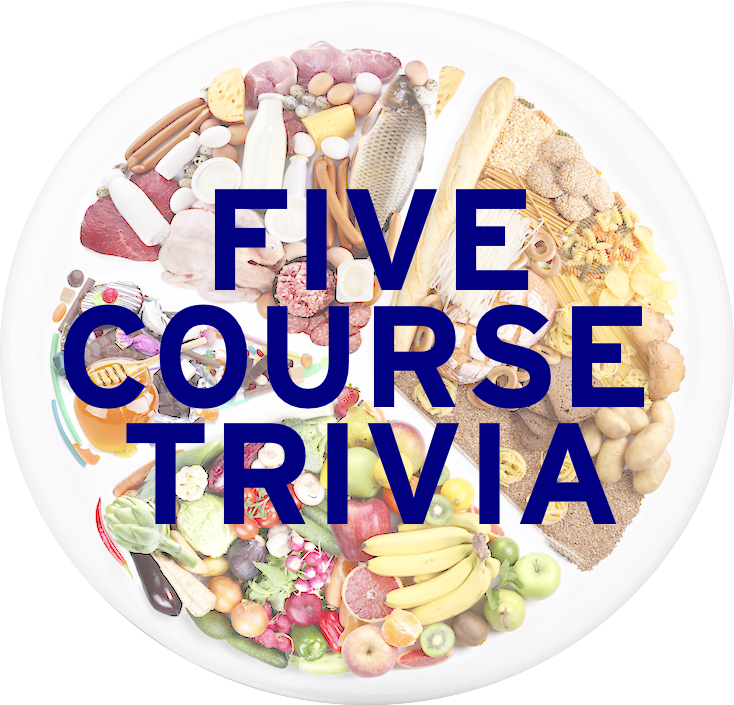 Here are six food questions tangentially related to the six chess pieces. Enjoy! 1. King – The kingfish is really the “king” version of what popular fish, known for a distinct savory flavor? The tuna is a member of this fish family. 2. Queen – In 1987, Dairy Queen purchased what chain of drink beverage stores, whose signature product was named the official drink of the 1964 New York World’s Fair? 3. Rook – Currently produced in the John Smith’s Brewery in Tadcaster, North Yorkshire, name the beer whose modified logo is seen here. 4. Knight – What institution might have taken its name from a decoration worn by the Ordre des chevaliers du Saint-Esprit, or Order of the Knights of the Holy Spirit? 5. Bishop – Especially popular during Victorian England, the “Smoking Bishop” was a drink made from port, red wine, lemons, sugar, and spices like cloves. A wine that contains spices, like cloves, qualifies as what kind of wine? 6. P(r)awn – Name the dish seen here.